The National Football League is bucking its own narrative. After a few years of ratings downturn, the league’s TV ratings are actually trending upward this season. Through the first six weeks of the 2018 campaign, NFL games have collectively averaged 15.6 million viewers, which is pacing 4 percent ahead of last season (15.0 million), according to Nielsen. The reversal of the league’s ratings fortunes comes amid declines pretty much everywhere else on television, as changing viewer habits have eroded the traditional TV model. Live events, particularly the NFL, were seen as bulletproof to the cord-cutting phenomenon. More importantly, the TV ratings for primetime games, which suffered larger drops compared to Fox and CBS’ Sunday afternoon coverage, are all up compared last year. 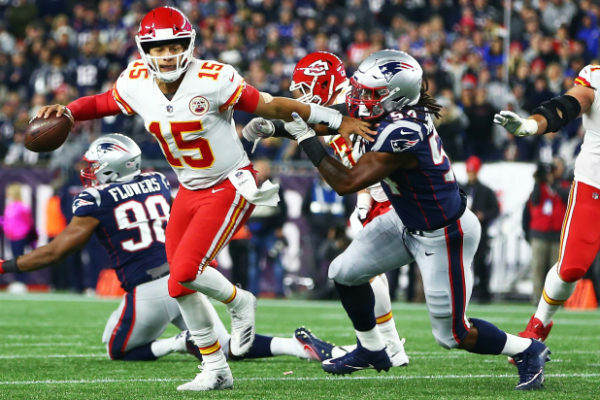 ESPN’s “Monday Night Football” is averaging 11.5 million viewers, pacing 3 percent ahead of last season at this point (11.2 million), as well as 7 percent above last year’s full season average (10.8 million). On NBC, “Sunday Night Football” is averaging more than 20 million viewers (NBC includes streaming numbers in their figures), up 5 percent (19.3) over the comparable numbers from 2017. Fox’s debut season of “Thursday Night Football” is averaging 14.2 million viewers (which include NFL Network simulcast) through its first three games, which is 7 percent higher than the entire 2017 season average for “Thursday Night Football” games that rotated between CBS and NBC. This is the first year of Fox’s five-year deal, $3 billion deal with the NFL.